San Vincenzo is a typical Mediterranean resort in Tuscany. The centre of the community of 7000 inhabitants is almost directly at the sea. The small town has long, beautiful beaches and a particularly large marina. 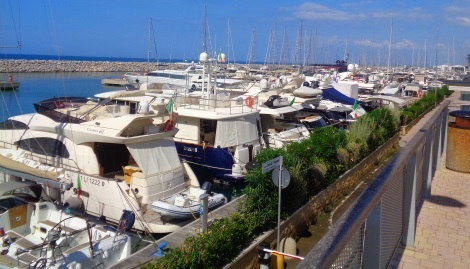 The shore in the centre of San Vincenzo is dominated by the large marina. In the marina for yachts there are always hundreds of ships, not a few of them are worth millions. The area is very popular among ship owners, as Elba and other islands of Tuscany and Corsica are not far away. The marina and yacht club are modern and relatively new. 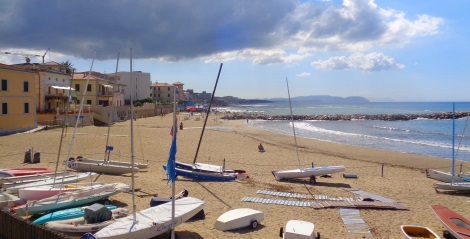 The beaches of San Vincenzo begin a few metres from the centre and the port, with some golden sand. There are free beach sections and sections with deckchairs and umbrellas for hire. The surrounding beaches are long in both directions and are among the most beautiful in Tuscany. There are surf schools, diving schools. The water around San Vincenzo is very clean. Surely the small town is a good choice for a beach holiday. There are many kilometres of good beaches in the region, including sections where there is little activity even in August. Popular among vacationers with dogs in Tuscany is the dog beach „Dog Beach“, about 1 km south of the center of San Vincenzo. Here dogs can run around freely and also swim in the sea. There is also a fitness area for dogs as well as deck chairs, cafes and restaurants. Dogs are only allowed to run free here, in Italy there is a strict leash obligation. Even further south from the dog beach is the nudist beach of San Vincenzo. At the very end, several kilometres outside the town, a few hundred metres inland is a large campsite with over 1000 pitches and bungalows. Camping Albatros has a large swimming pool, mini golf, restaurant, cafe, shops and much more. 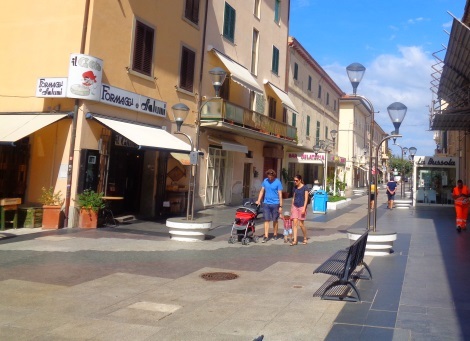 The pedestrian zone of San Vincenzo is 1-2 streets from the sea, parallel to the shore. In the centre there are shops, restaurants, ice-cream parlours and cafes. 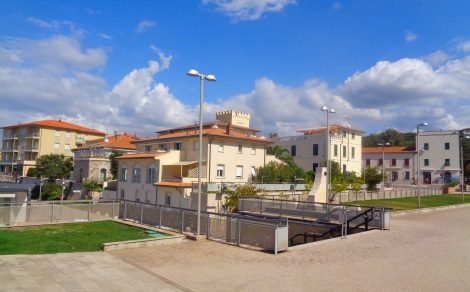 San Vincenzo is one of the seaside resorts in Tuscany that can easily be reached by train. The train station is about 200 metres from the shore of the Mediterranean Sea. Between Banhnhof and the sea is the city centre with the pedestrian zone mentioned above, with trains running about every hour in both directions along the sea. The northbound train goes via Livorno to Pisa, where you can change trains for example to Florence. To the south the train goes from San Vincenzo to Follonica and Grosseto. Some trains go on to Rome. The fast IC trains usually do not stop in San Vincenzo. But there are direct regional trains to Rome. Also to Piombino (ferry port to the island of Elba) there are some trains per day from San Vincenzo. The famous island of Elba is only 20 km from San Vincenzo as the crow flies. It is the largest of the Tuscan islands.